"'Bodies Embalmed by Us NEVER TURN BLACK!' A Brief History of the Hyperstimulated Human Corpse"
In October 1902, Dr. Carl Lewis Barnes and his brother Thornton H. Barnes, both instructors at the Chicago College of Embalming, created a large exhibition of embalmed corpses and body parts for the National Funeral Directors Association in Milwaukee, WI. 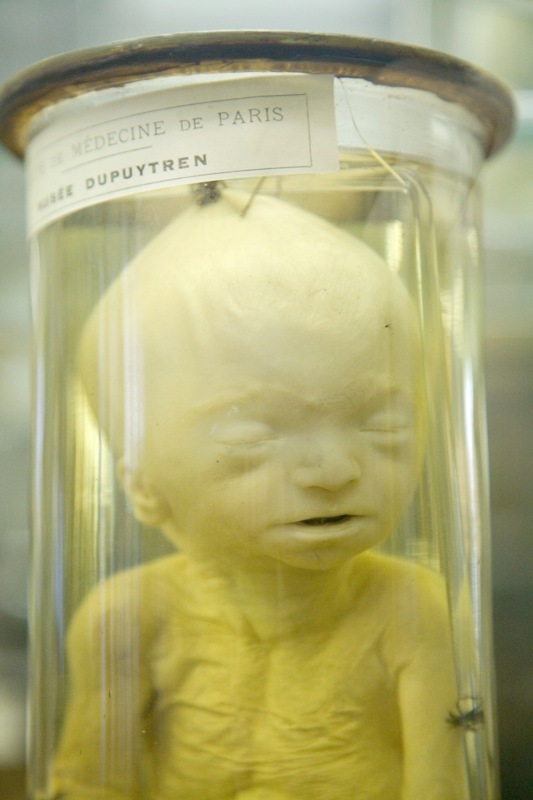 The Barnes brothers’ exhibit featured human specimens preserved with Bisga Embalming Fluid—a product invented and produced by Dr. Barnes for consumer use by other embalmers. The centerpiece of the exhibit was the Bisga Man, an embalmed male corpse sitting upright in a chair with one leg crossed over the other, wearing a fashionable suit. In early twentieth century America, the Bisga Man represented the perfect nexus of mid to late nineteenth century preservation technologies that were to radically redefine the organic existence of the human corpse. Such preservation technologies represent a series of overlapping choices, embalming chemicals, apparatus, and funeral practices all intent on keeping the dead body looking ‘‘properly’’ human. Yet these external forces acting on the human corpse do much more than alter the chemical physiology of the dead body to suspend decomposition: through these forces, the concept of human death itself is simultaneously being altered. Troyer’s talk analyses and critiques how the modern human corpse became an invented and manufactured consumer product through the industrialization of the dead body in mid nineteenth century America. More specifically, this talk illustrates how the modern human corpse is an invention of specific mid nineteenth century embalming and photographic technologies that seemingly stopped the visible effects of death as they were seen by the general public. 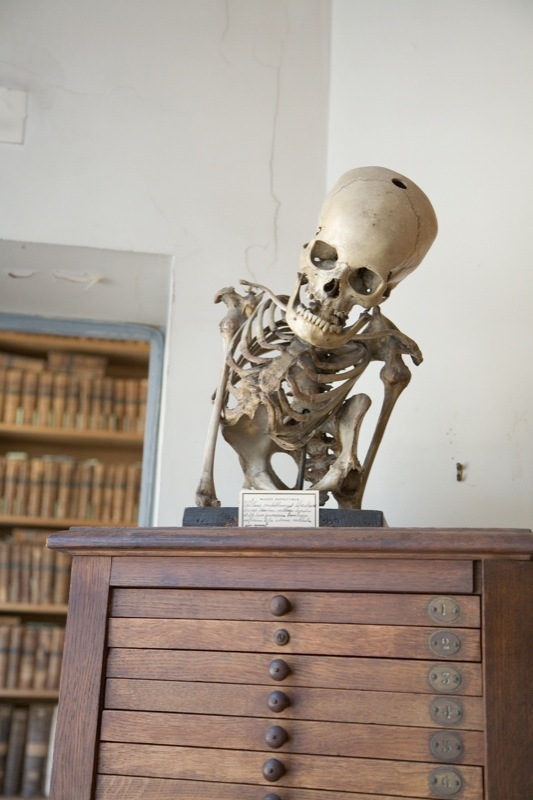 Bio: John Troyer is the Death and Dying Practices Associate at the Centre for Death and Society in the University of Bath, England. He received his doctorate from the University of Minnesota in Comparative Studies in Discourse and Society in May 2006. His Ph.D. dissertation, entitled “Technologies of the Human Corpse, ” was awarded the University of Minnesota’s 2006 Best Dissertation Award in the Arts and Humanities. From 2007-2008 he was a Visiting Assistant Professor in the Department of Comparative Studies at The Ohio State University teaching the cultural studies of science and technology. Within the field of Death Studies, John focuses on delineating and defining the concept of the dead human subject. His research on death and dying, coupled with a cultural studies approach to understanding the global history of science and technology, brings new life to the Centre for Death and Society. His first book, shockingly titled Technologies of the Human Corpse, will appear in 2010. His father is a funeral director. You can find out more Observatory and future events here. Click here to sign up for the Observatory mailing list. Click image to view larger image. Image: I want to say a few words to the American funeral directors and embalmers: six months ago I made a few gallons of Bisga Embalming Fluid . . . I was finally able to produce a chemical which would not only remove the discolorations, if present, but would combine with the dark discolored blood and restore it to its natural color, thus removing every vestige of discolorations and thus give the body a perfect life-like appearance. Michael Jackson to be Plastinated by Gunther von Hagens! Breaking news just in from John Troyer of the Centre for Death and Society at the University of Bath, who will be lecturing on the invention of the modern human corpse at Observatory next Thursday (click here for info): it has been announced that Michael Jackson's body will be plastinated by the infamous Gunther von Hagens! 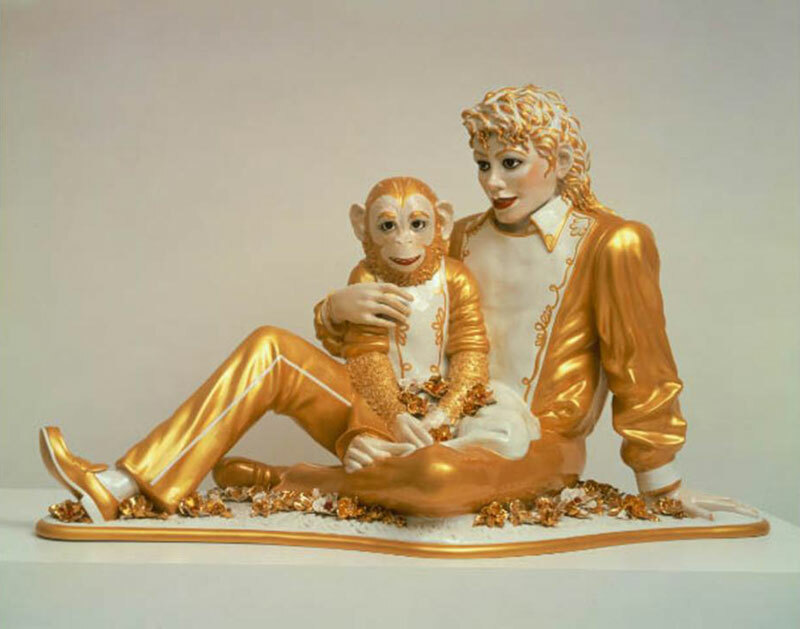 Michael Jackson will live on as a 'plastinated' creature preserved by German doctor Gunther von Hagens. 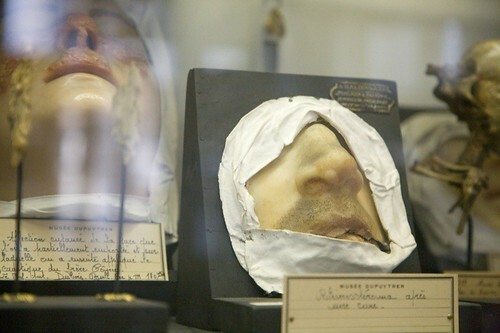 Von Hagens has caused controversy with everyone from the Pope to the chief rabbi in Israel with his practice of embalming corpses with preserving polyurethane. You can read the whole article by clicking here. Thanks so much, John, for alerting me to this story. I should also note: John fully intends to work this topic into his Observatory lecture this Thursday! So--if such things are of interest--be sure to come to stop by (again, more info here). 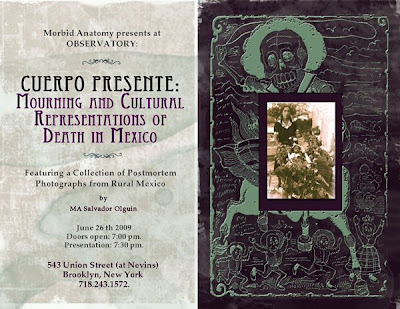 Tomororrow Night at Observatory: "'Cuerpo Presente': Mourning and Cultural Representations of Death in Mexico"
Just a friendly reminder: tomorrow night Salvador Olguin will present a lecture entitled "'Cuerpo Presente': Mourning and Cultural Representations of Death in Mexico, Featuring a Collection of Postmortem Photographs from Rural Mexico" at Observatory. Complete information following, for your convenience. Hope to see you there! This illustrated lecture will present a series of postmortem photographs taken between the 1930’s and the 1950’s, when the tradition of celebrating a person’s departure with a last picture was very much alive in small towns and villages in Mexico. A brief journey through some of Mexico’s cultural and artistic ways of celebrating death will provide the frame and background for a better understanding of these images. Presenter Salvador Olguin holds a MA in Humanistic Studies, and is currently performing research on the subject of the body and its representations at New York University. He is primarily interested in studying cultural artifacts that depict the body in non-normative, unusual ways. He was born in Monterrey, Mexico and currently resides in Brooklyn. For more information, to see recent and upcoming Observatory events, to get on our mailing list, or to email us questions or suggestions, visit observatoryroom.org. Click on invitation to view larger image. Observatory is located at 543 Union Street at Nevins. When at the Museum Boerhaave in the Netherlands for an Auzoux conference earlier this year, I stumbled upon (and photographed) this wonderful watercolor painting from 1803: "Petrus Koning with his Master." 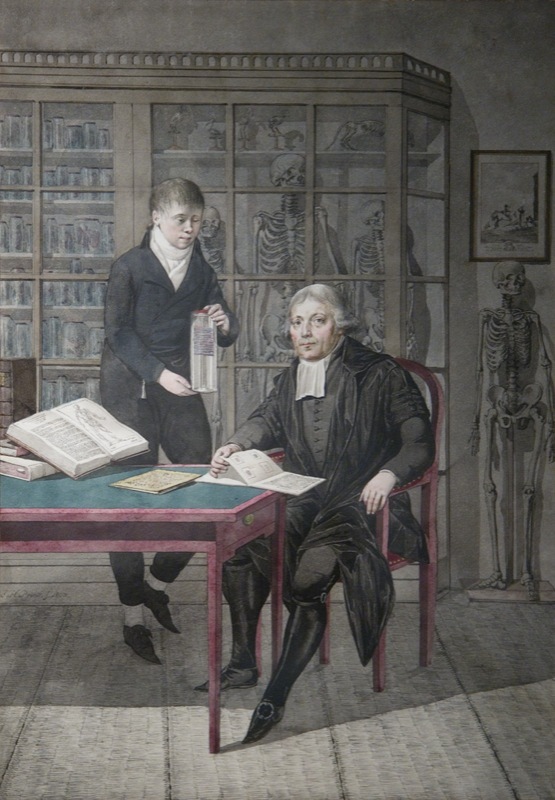 Petrus Koning began his career as an apprentice to the Utrecht professor of anatomy and obstetrics, Jan Bleuland. They are depicted together here amid the University's collection of wet and dry human preparations. Click on the image to see a larger version, with many more details apparent. Click here to visit the Museum Boerhaave website. From Wikipedia's description of this short film: "In an unnamed place, Satan is bored. Despite his servants' exertions, nothing can be found to cheer him up." Watch a morose Satan reject all attempts at amusement above; worth a peek for--if nothing else!--the wonderful early 20th Century sets and costumes. Via Coal Black Filly blog. On my last trip to Paris, I was lucky enough to spend a few hours with my camera at the fabulous and astounding Musée Dupuytren. 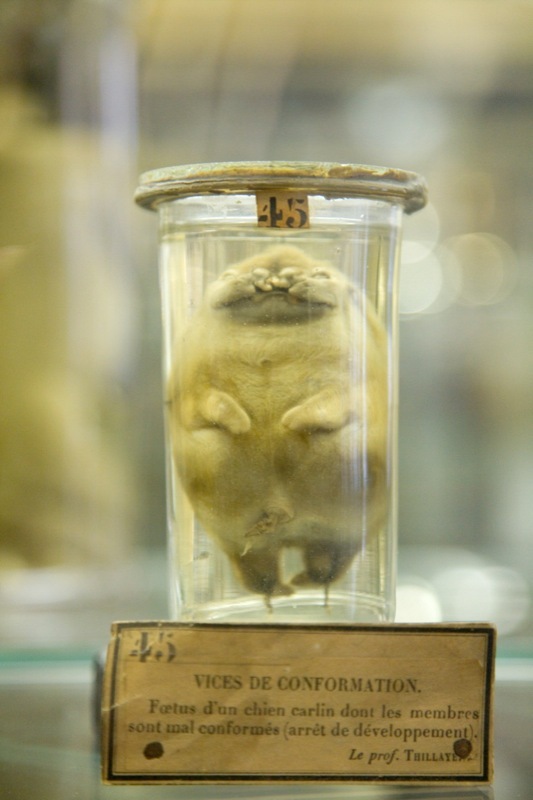 Founded in 1835, the museum--which I featured in this recent post--features hundreds of human and zoological teratological waxes and specimens adorned with ancient labels and crammed into glass cases in a small, fluorescent-lit room. You can see my full photoset of 130 images--from which the above are drawn--by clicking here; I shot the video some years ago on an earlier visit. You can find out more about the museum by clicking here. You can find out yet more about it on the wonderful Atlas Obscura website by clicking here. "The Children Sleep in the Cabinet of Curiosities"
A wife is writing to the “Mirror” upon a new affliction which has attacked her husband. He happened to receive a crooked shilling in exchange for some of his goods (the husband was a grocer), and a virtuoso informed him that it was a coin of Alexander III, of great rarity and value, whereupon the good man became seized with a passion for collecting curiosities. “His taste,” says the wife’s letter, “ranges from heaven above to the earth beneath, and to the waters under the earth. Every production of nature or of art, remarkable either for beauty or deformity, but particularly if either scarce or old, is now the subject of my husband’s avidity. The profits of our business, once considerable, but now daily diminishing, are expended, not only on coins, but on shells, lumps of different colored stones, dried butterflies, old pictures, ragged books, and worm-eaten parchments. You can see the full post by clicking here. You can persuse the entire website by clicking here. All of the above images are sourced from the Virtual Museum of Le Musée de l'Hôpital Saint-Louis, which I found via the Titam et le Sirop d'Érable Blog. Click here to visit the virtual museum, find out more about the individual pieces, and see more moulages. 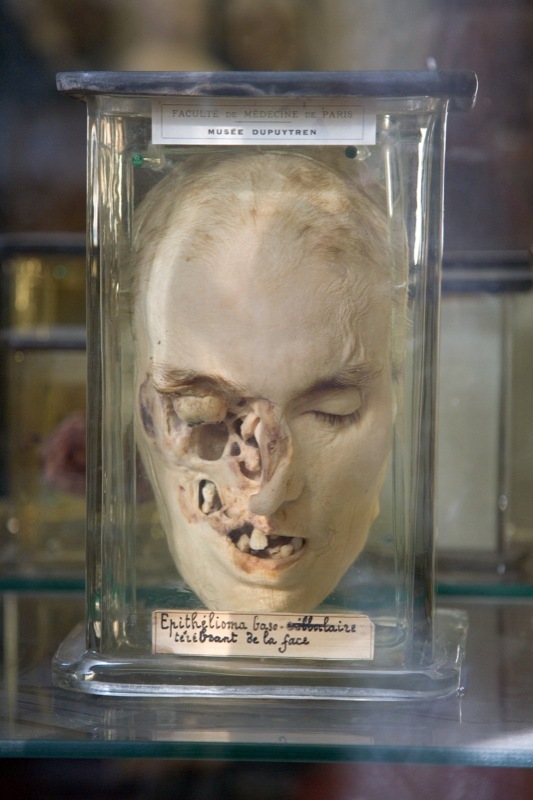 Click here to see original post (translated from the French), which has a nice introduction to the collection and to Jules Baretta, the moulage artist who created the works. 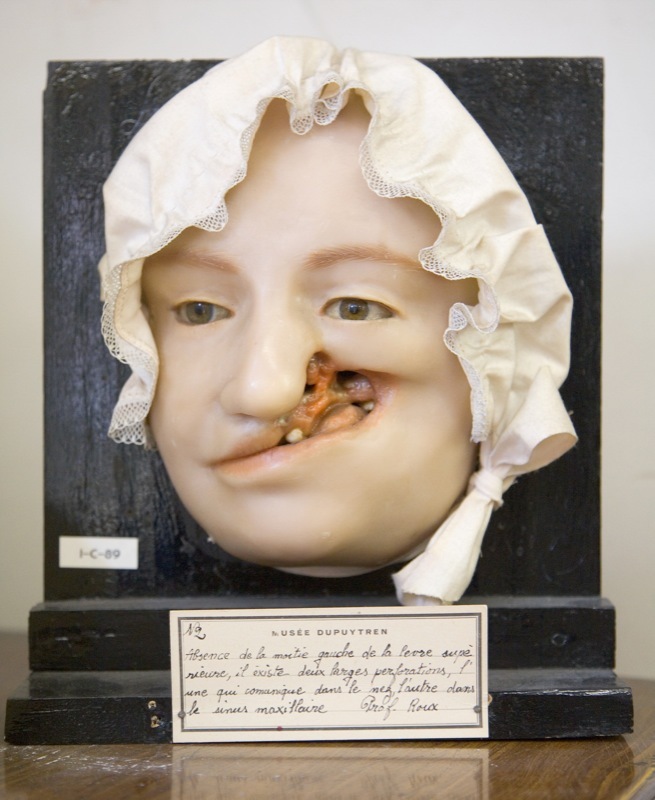 Click here to visit the website of Le Musée de l'Hôpital Saint-Louis. For more information, to see recent and upcoming Observatory events, or to email us questions or suggestions, visit observatoryroom.org. From the wonderful Ptak Science books blog comes a recent, fascinating post about the centuries-old art and science of "Mole Mapping," featuring the above images (click to see larger version) drawn from the second edition of Richard Saunders' 1671 publication Physiognomie and Chiromancie, Metroscopie, the Symmetrical Proportions and Signal Moles of the Body, Fully and Accurately Explained; With Their Natural Predictive Significations Both to Men and Women. Here’s a sentence one doesn’t get to write very often: Richard Saunders (1613-1692) was perhaps the foremost historian, astrologer and seer of human moles and their predictive forces who ever lived. He was far from being the solitary member of a one-unit class: the use of moles as predictive and interpretive agents stretches back dozens of centuries, so the claim of Saunder’s being its most famous practitioner is not empty, mega-pseudo-scientific or not. The mystical commentary on the Torah, the Zohar (a part of the Kabbalah), gets right to the point of the significance of moles (“the stars of the body”), transferring the structure of the cosmos and the constellations to the skin. The seer and soothsayer Melampus from Greek mythology, in one of his necessarily pseudographic works, writes on the importance of moles of the face and their zodiacal relations—an idea that was picked up 2000 years later by the extremely significant mathematician Jerome Cardano. There was a decent amount of argument regarding the location of zodiac symbols on the face, as it turned out. Click here to see the full original post, of which the above is merely a short excerpt. Click here to visit the full website. Mexican Mummies Embarking on U.S. Tour! The famous mummies of Museo de las Momias in Guanajuato, Mexico (see above) are embarking upon a U.S. tour! Their first stop--just announced today--will be the Detroit Science Center in Detroit, Michigan; it is unclear what other cities will be included in the tour, though it has been remarked that there will be 6 other U.S .destinations. Let's hope New York City (or somewhere in the outlying area) makes the cut! Detroit -- A rare glimpse into the mystery of death will be on display at the Detroit Science Center in October with the first U.S. exhibit of 36 mummies from a World Heritage site in Mexico, museum officials plan to announce today. The 100-year-old mummies will be on loan from the Museo de las Momias in Guanajuato, Mexico. "This is the largest and most significant collection of mummies in the Western hemisphere," said Kelly Fulford, spokeswoman for the Detroit Science Center. "It's a phenomenal opportunity to view something really rare and unique ... something you wouldn't be able to see unless you travelled to Mexico." The Mexican museum opened in the late 1800s after mummified corpses of men, women and children were exhumed from the colonial city's cemetery because their families could no longer pay the crypt fee. Some of the corpses were discovered to have "accidentally" or naturally mummified, meaning nature, not man, stopped their decomposition. Today 111 natural mummies have attracted visitors to the museum in the city, northwest of Mexico City, since the early 1900s. Mummy scholars who have been conducting research in Detroit say the exhibit will offer a repository of anthropological, medical and cultural information. "When you come to this exhibit, you will get to know these people," sad Ronald Beckett, a Phoenix-based Fulbright scholar who studies mummies around the world. "The exhibit will tell the individual human stories of these long-dead people, and give them their identity back." Museum visitors, for instance, will learn about the health of the mummies in the forensic room of the five-room display. This will be done with the help of modern medical technologies such as computer tomography, endoscopy and DNA analysis. 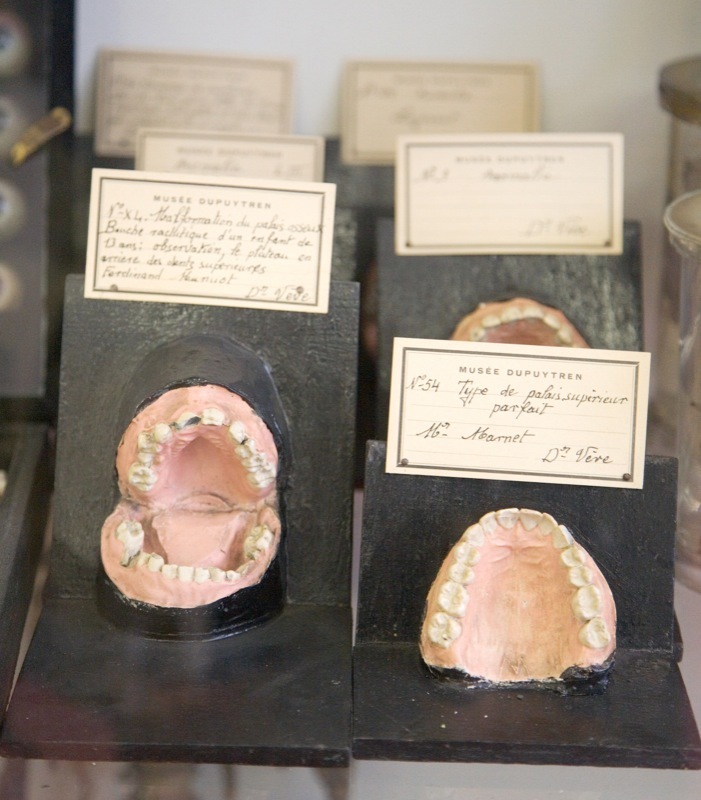 "The study of old pathologies puts a light on health issues today," said Vivian Henoch, medical exhibit developer. "Anything we glean from the mummies informs what we do and how we advance our understanding of many health issues." The traveling mummy exhibit will leave Detroit in 2010 and go on to six other U.S. destinations before retuning to Mexico in 2012. You can see the original article by clicking here. For more about the mummies, you can visit the Museo de las Momias website by clicking here; you can also visit website that has been created for the traveling exhibition--entitled "Accidental Mummies of Guanajuato--by clicking here. Note: I highly recommend you take some time to peruse the photo galleries on these sites. This talk focuses on the publications of Fritz Kahn (1888-1968), a German-Jewish physician. Between 1920 and 1950, Kahn was a widely-read author of books and articles for the general public on medicine, health and science. His principal works, Das Leben des Menschen [The Life of Man] (5 vols. ; Stuttgart, 1922-31) and Der Mensch: Gesund und Krank [Man: In Health and Sickness] (2 vols. ; Zürich, 1939) feature thousands of illustrations. 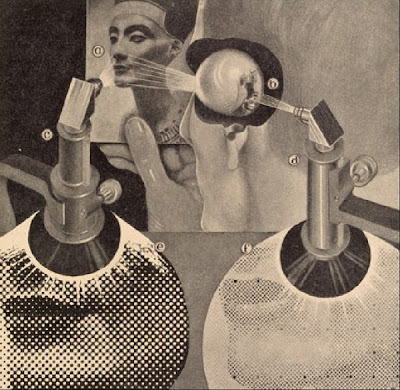 Influenced by Dada, neue Sachlichkeit, surrealism, futurism, Bauhaus, constructivism, Art Deco, neo-classicism, comic strips, photomontage, and advertising graphics, Kahn, and the artists working under his direction, visually explained how the human body works, based on the findings of modern biological science. At the same time, the images refer back to the chaos, violence, impasses, pleasures, dreams, and technological and sociocultural ambitions of early and mid-20th-century Germany. Kahn deployed a visual vocabulary of modernism to figure industrial modernity within the body and the body within industrial modernity. The result was a corpus of images and tropes which imagined a new body for the modern age. Image: Fritz Kahn, Das Leben des Menschen 5 (1931): 53. Retinal imaging and halftone printing compared. More information here on the Observatory website; you can visit that by clicking here. Above are just a few treasures recently uploaded to the National Museum of Health & Medicine's unofficial Flickr page; click here to see full collection. 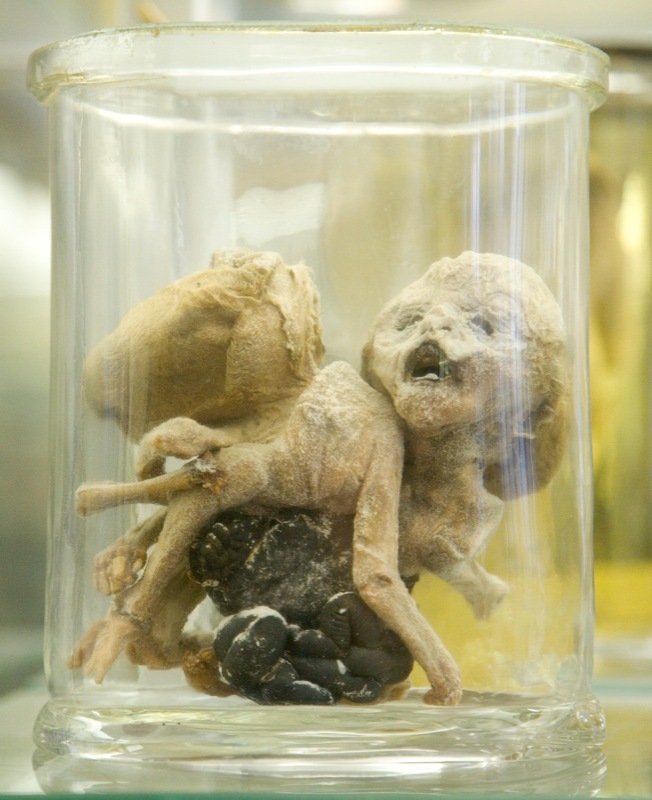 For more, click here to visit the museum's unofficial (and delightfully named) blog "A Repository of Bottled Monsters." Images, top to bottom: Sgt Cortiza at work shop, 06/23/1950, Sgt. Cortiza making wax models from live one. Activities, Armed Forces Institute of Pathology. Sgt Cortiza at work shop, 06/23/1950; Artificial eye in mold. Museum and Medical Arts Services, 2nd Medical Detachment [Army Medical Museum]; Double thumb on both hands of little girl. Miss Allen’s wax model, Army Medical Museum; World War 1 era, Construction and repair of model training aids. Activities, Armed Forces Institute of Pathology; Skeleton. 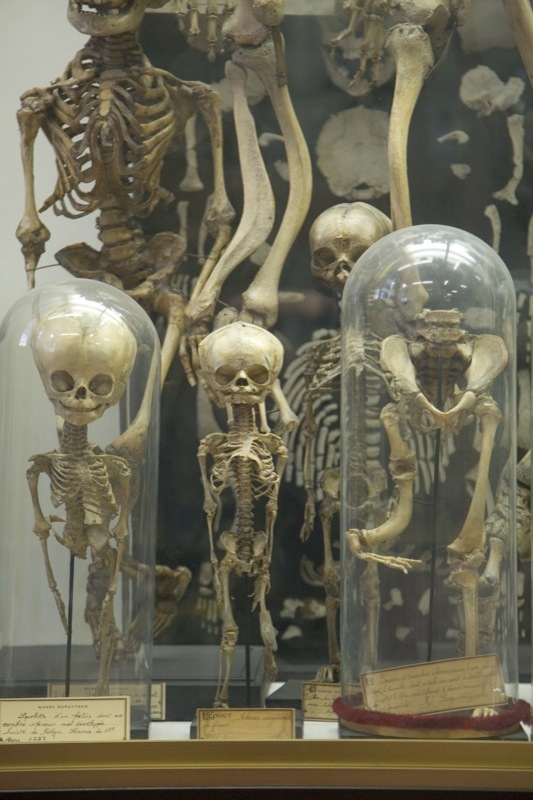 Fetal rickets. Cress Funeral Home in Madison, Wisconsin is a place not to be missed. 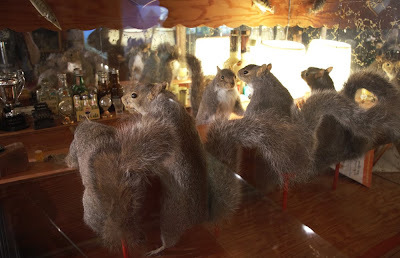 Downstairs you will find a plethora of taxidermied animals mounted on walls or arranged in anthropomorphized settings in aquariums. Sam Sanfillippo, the owner of the funeral home, became interested in albino squirrels and hired Vito Marchino to preserve a couple that had died on the golf range. When friends found out about his interest, they began dropping off or sending dead squirrels his way. 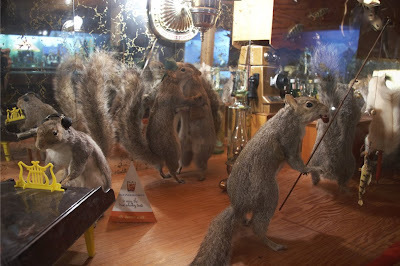 You will find several taxidermied squirrels, including several albinos. 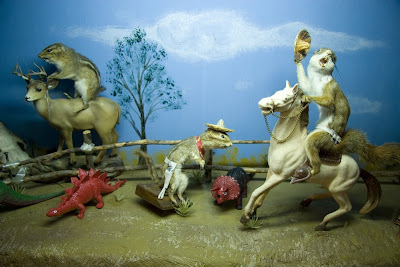 Squirrels play poker with each other, ride horses, carry guns, drive cars and visit a fair. Fish cover the walls and the area is lit by a couple of deer hoof lamps. In the two rooms there is no place left empty of Sam Sanfillippo‘s macabre touch. Thanks so much, Diane, for sending in this review and the lovely photographs! Just for a bit of 4D fun, I have supplemented these with the video you see above, entitled "Cress Funeral Home Squirrel Display," by "Decider + Madison" and found on YouTube. To see more of Diane Fox's work, check out her website by clicking here. You can visit the Cress Funeral Service website by clicking here; more about the collection and the Cress Funeral Home collection and founder--with more photos!--can be found on the wonderful Roadside America website; click here to access that story. Oh! 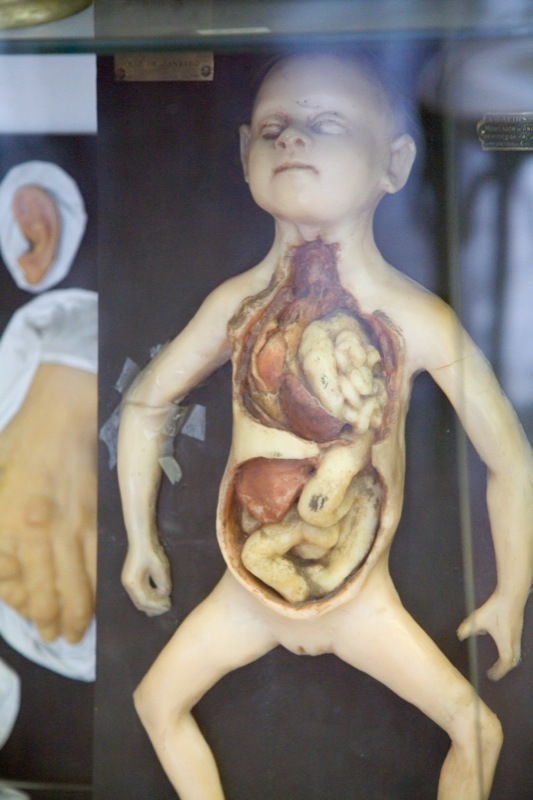 And a brief side-note: if any there are any other readers out there who might be interested in to contributing reviews to Morbid Anatomy, please contact me at morbidanatomy@gmail.com. 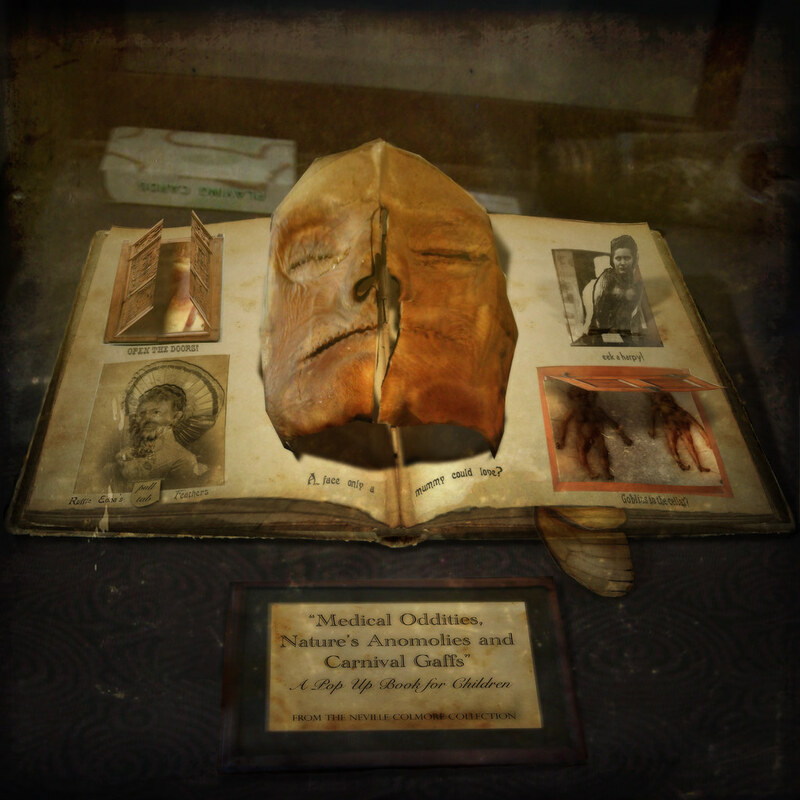 "Medical Oddities, Nature's Anomalies and Carnival Gaffs: A Pop Up Book for Children"
Found in Crowolf's Flick-stream; Click here to see more. Click on image to see larger version.